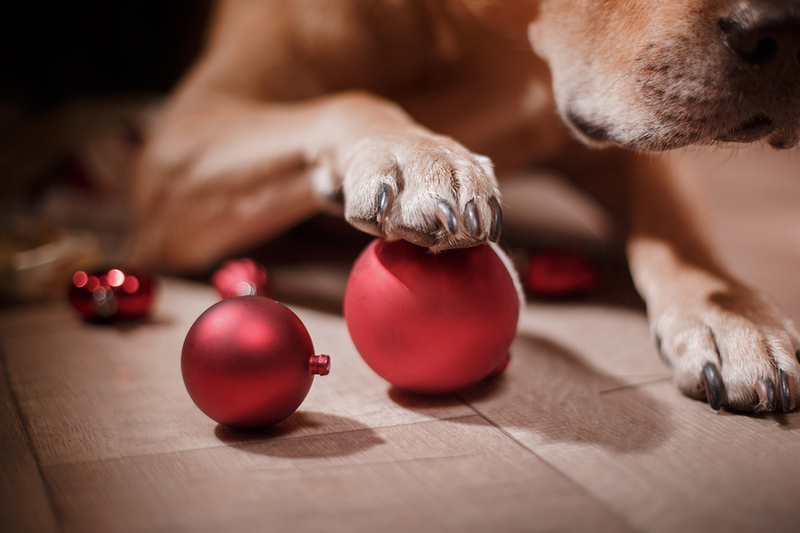 Dogs probably don’t eat glass by choice, but when it’s in the form of a ball, as it is with many Christmas ornaments, dogs may not be able to resist. What should you do if they ingest glass? That was the question a reader asked; here’s what I had to say. A: Dogs are equal-opportunity eaters. If it smells or even looks edible, they won’t hesitate to ingest it. I never cease to be amazed at the things dogs will put in their mouths and chomp down on. That includes glass ornaments and lightbulbs. The real surprise is that biting down on a glass ornament is typically less dangerous for dogs than it might seem. Most often, dogs appear to realize they’ve made a mistake and don’t swallow the shards. They still run the risk of cutting their tongue or lip, of course, with the resultant bleeding. If it’s severe enough, the dog may need a trip to the veterinarian for treatment. When dogs do swallow the pieces, your veterinarian may feel it’s safer to let the glass pass naturally instead of trying to bring it back up by inducing vomiting. I have heard of people who have induced vomiting in cases like this, but we usually don’t recommend it. The dog runs a greater risk of injury bringing back up sharp items such as glass or needles. If you know that your dog has swallowed something dangerous such as glass, call your veterinarian immediately for advice. If your dog isn’t showing signs of choking — gagging or pawing at the throat, for instance — your veterinarian may suggest giving bread, pumpkin or mashed potatoes to help encase the glass as it passes through the intestinal tract. Any signs such as straining to defecate, lethargy, blood in the stool, lack of appetite or abdominal pain call for an immediate trip to the veterinarian. These signs may indicate a blockage or damage to the intestinal tract that requires surgical repair. 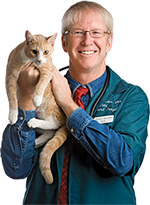 Read more, including alternatives to feline declawing, in this week’s Pet Connection.